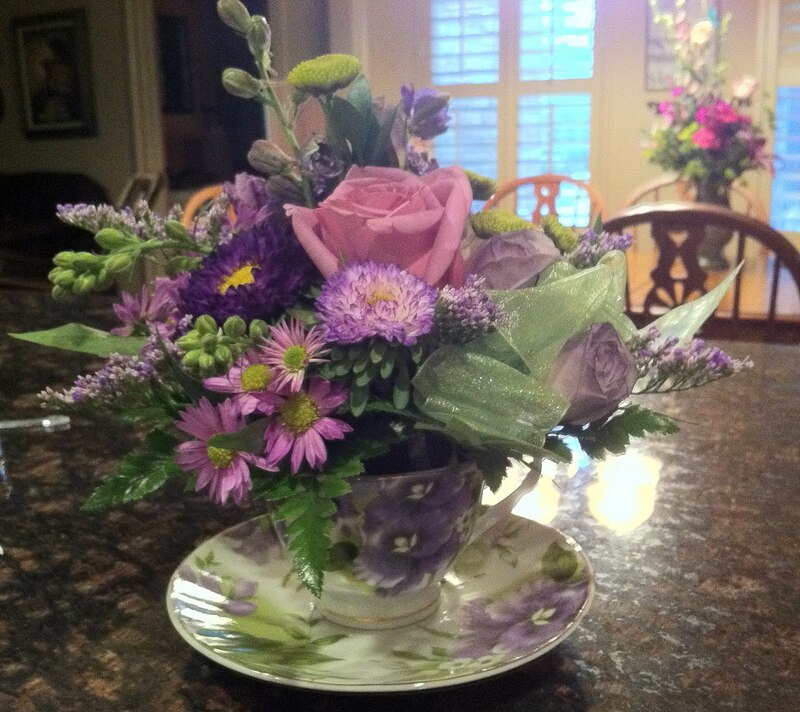 The above cup and saucer filled with beauty is from Jamie, who made the bouquet in the background... that Sam gave me. She, of course made the one she gave me, too. Here's the one Sam ordered. Oh, my recent poll is going to be over soon. I hope you voted! BTW, that poll was inspired by Laura. On the way home from Taos last week we brainstormed on poll ideas... and I got some good ones. Stay tuned! Who is Jamie and where do we find her??? 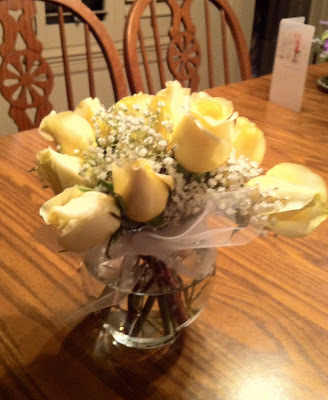 Gorgeous arrangements!!! Loved the line: "...I think their fragility- and that they don't last forever - makes them more precious." 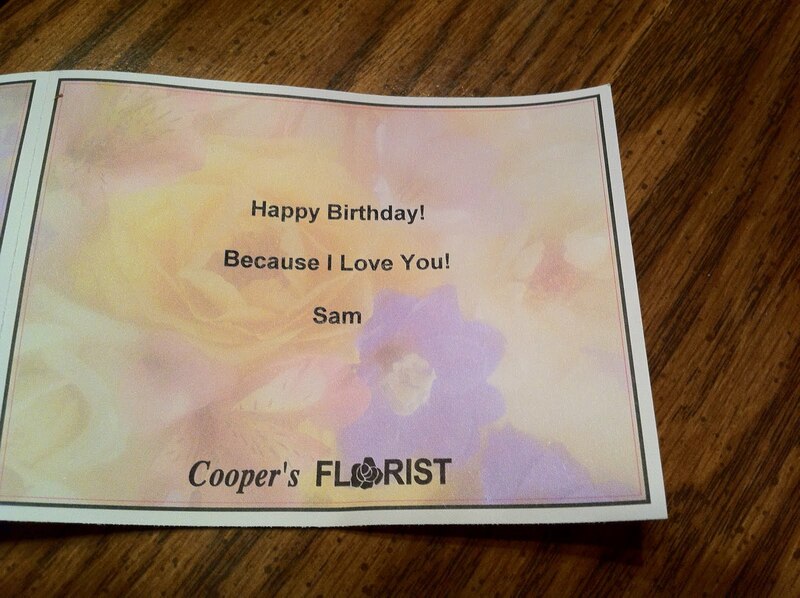 Beth, Jamie is at Cooper's Florist on Pipeline in Bedford (or Hurst). 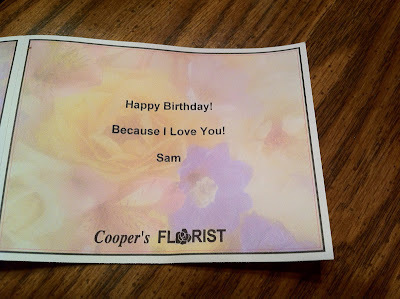 She and her husband own it now - and are GREAT florists... and wonderful Christian people. And thanks, Audrey, for your comment. !! Lots of pretty flowers! 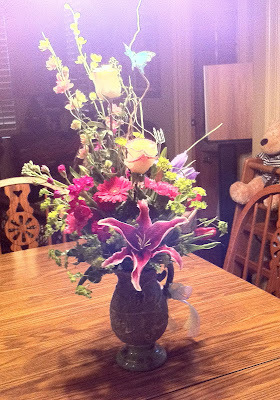 Someone brought us flowers yesterday-flowers AND dinner. Beautiful flowers and happy birthday! !